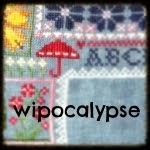 It's WIPocalypse time again! I have only completed a tiny bit of stitching on my WIPocalypse projects. 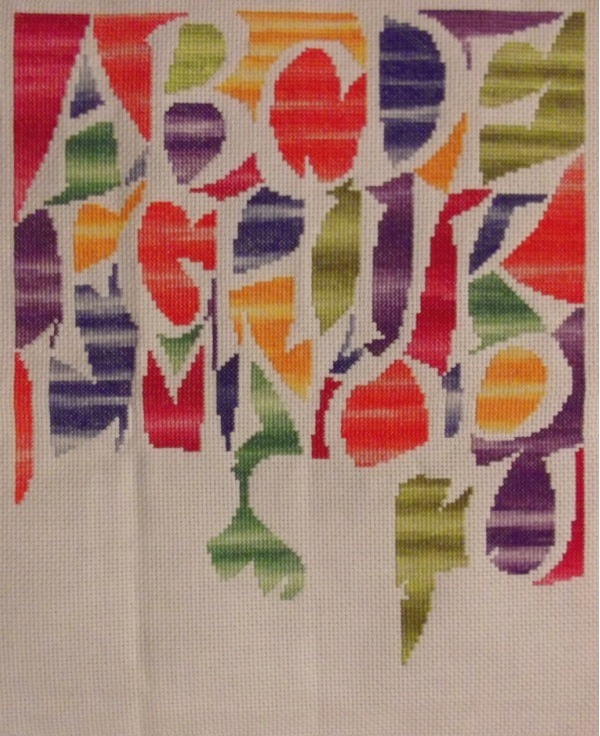 I stitched a bit on my "Multi-Coloured Alphabet" (shown above), and a bit on "Afternoon Nap" (shown below). Since I'm a bit short on the stitching, I have a couple more photos to share from the Atlanta Botanical Gardens. The first is "Earth Goddess", one of the wonderful "mosaicultures" that is featured as part of the "Imaginary Worlds" exhibit. "Mosaicultures" are 3 dimensional sculptures made up of living plants. 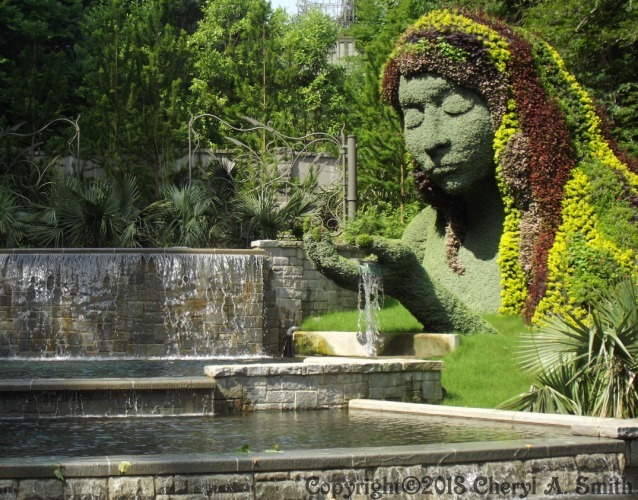 The "Earth Goddess" is part of the Cascades Garden fountain, in which water spills from her hand into the reflective pool. 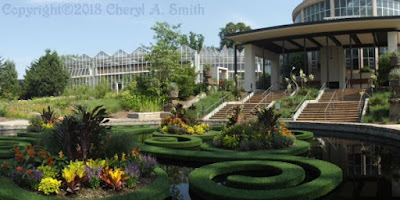 And the next is a photo of the pool on the side of the "Fuqua Conservatory", which was looking lovely that day. 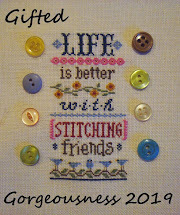 Gosh, I'm bound to have more stitching completed next time ... right? Multi coloured alphabet always brings a smile to my face, it's so different and colourful. The Alphabet is looking wonderful, I love all the colours in this one. Thanks for sharing the floral sculptures, they are incredible. That alphabet is so great - I love seeing progress on it. 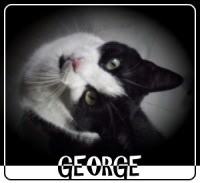 I love the mosaicultures picture - I've seen them before and they're always so stunning. 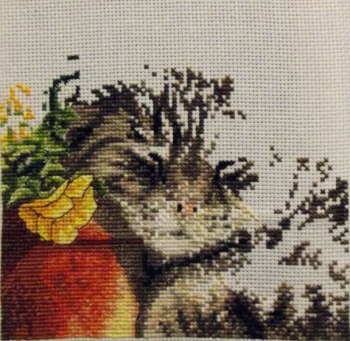 Great progress, I love seeing the kittie's face! The gardens are gorgeous, the Earth Goddess is stunning.